My birthday present from my brother and his girlfriend Georgina (check out her blog here) came at the perfect time. I adore my Kate Spade Lacey purse but wanted a small coin purse to take to Florida. 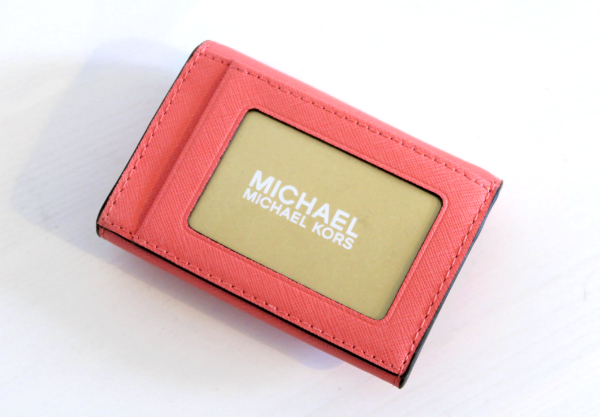 The Michael Kors Travel Saffiano Leather Coin Purse in coral is a beautiful piece. 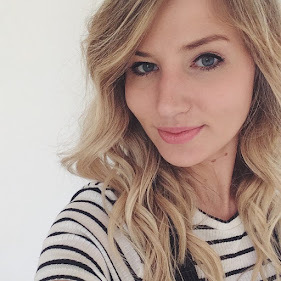 It's made from Saffiano leather and is part of their Jet Set collection. 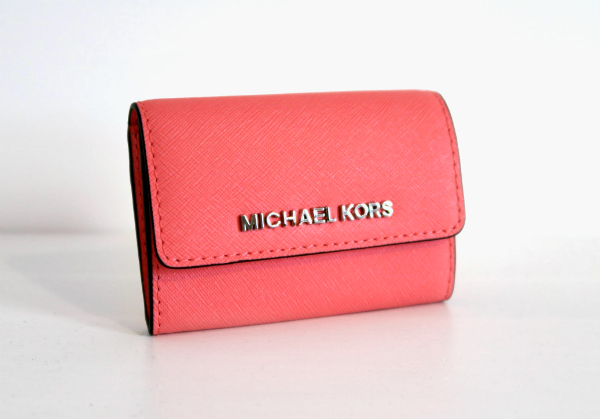 It has a press stud fastening, three interior compartments, a zipped coin purse and an ID window too. 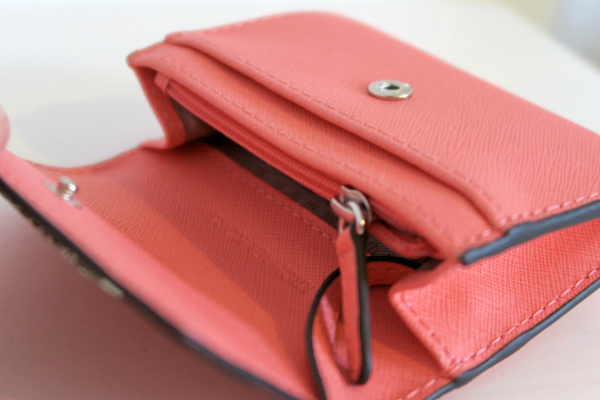 For a small purse it has everything you need, and I like how it's not too tiny so that your cards only just fit in - everything is easy to reach. It also has a key ring strap attached which is handy! There are five different colours available and you can find it here.